Upgraded shipping to USPS express mail. Express mail has a delivery time of 1-2 days after an item has shipped verses the 2-5 days for First Class mail. 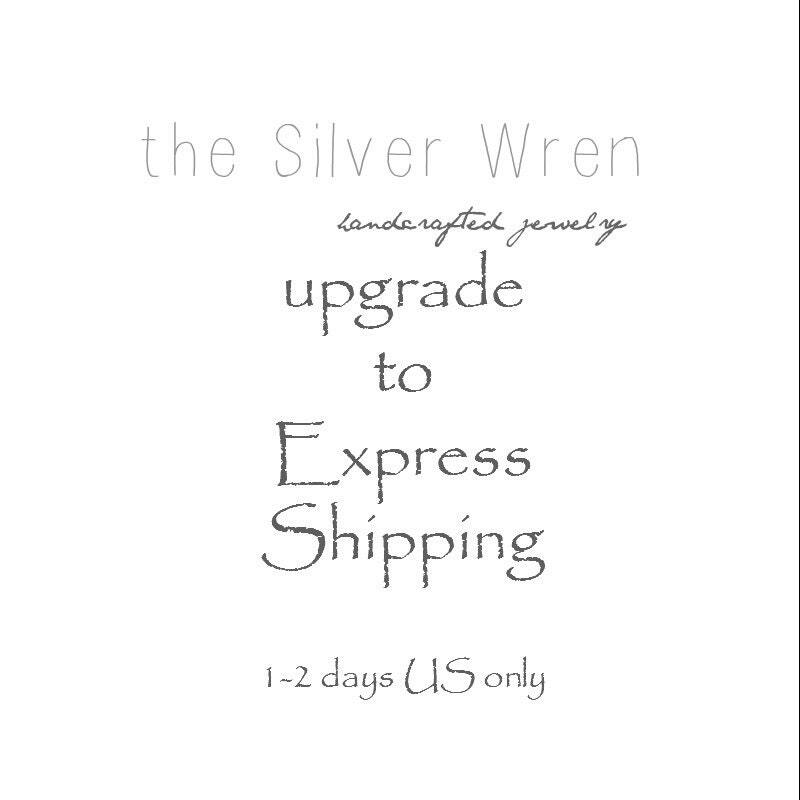 I LOVE my necklaces :) I had added 2 "express shipping" rates & The Silver Wren refunded me because I was only shipping to one address. (Huge win right there) I received my order super quickly and they are gorgeous!! Thank you so much for the hand written note as well. Great company!